In the last couple of months, I’ve noticed that my skin is changing as I age – it used to be oily, but lately my skin feels dry and dehydrated… much in need for help. 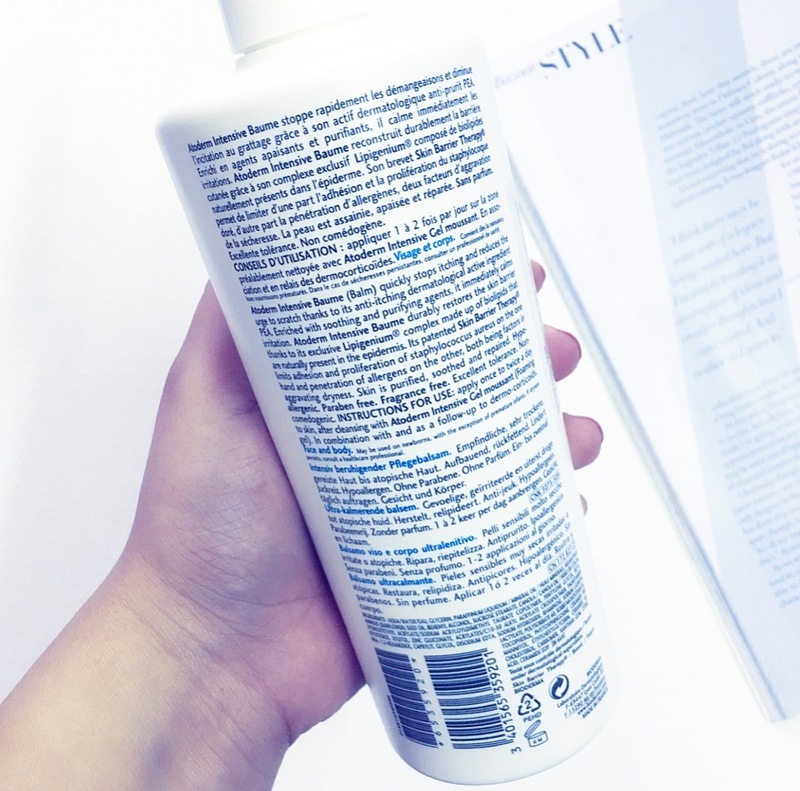 Being a beauty blogger has added to my problem, because I’m constantly trying new products and to be honest, sometimes your skin can take a beating because you are changing your skincare routine more than you should. That’s the problem I’ve been facing for a few months – my skin feels very dry, tight and thirsty (for the lack of a better word!). 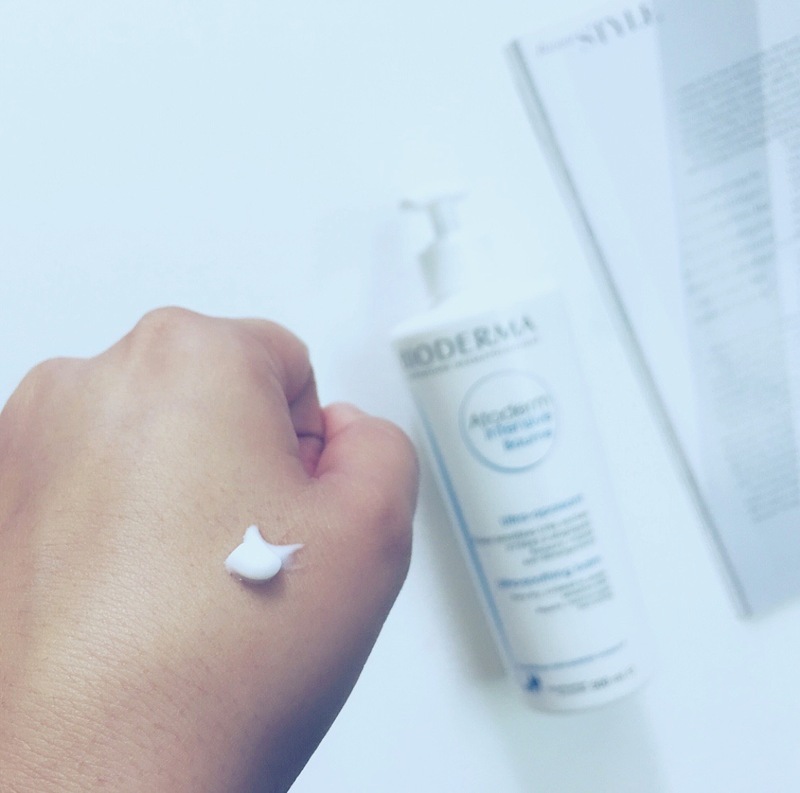 So in the last few weeks, I’ve made a conscious effort to minimalise my skincare routine and use only a limited number of products and one of them has been Bioderma Atoderm Intensive Baume… a product that has done WONDERS for my skin! 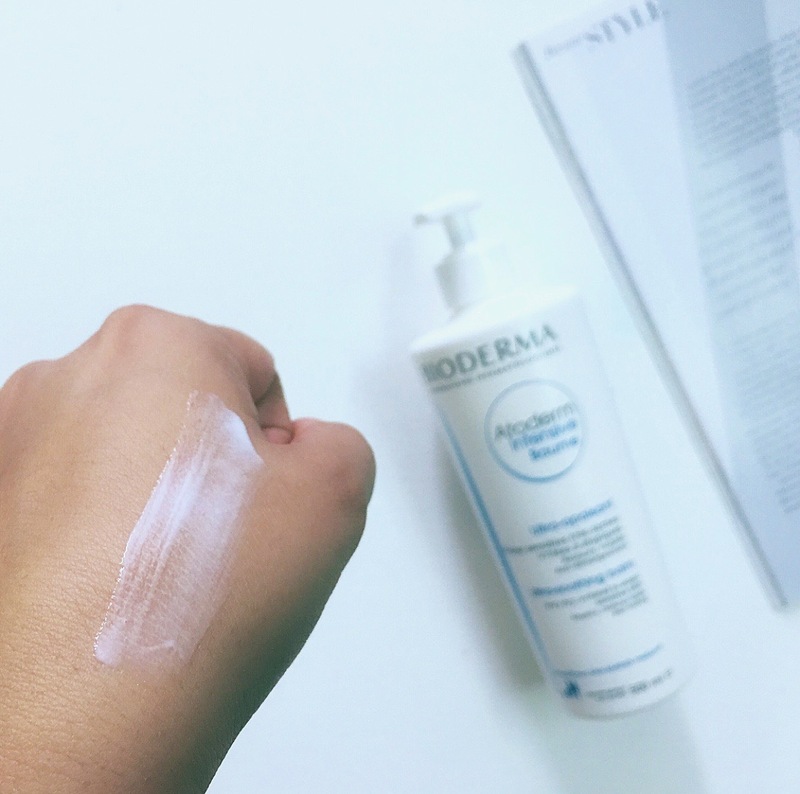 Bioderma is a French Pharmacy brand that has very simple, yet effective products that contain a limited number of ingredients. 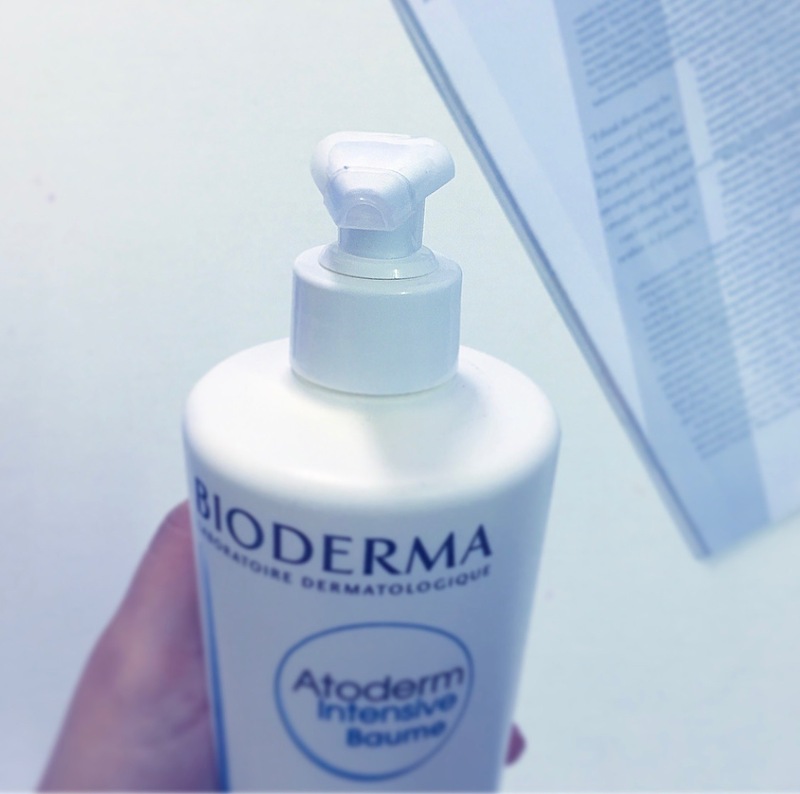 Their Atoderm range is aimed at people with extremely sensitive, dry to atopic skin. The Atoderm Intensive Baume is a 2-in-1 soothing and dermo-strengthening treatment to restore healthy, comfortable skin. I’ve been using this Baume for about 2 weeks now and have seen a tremendous difference in how my skin looks and feels. 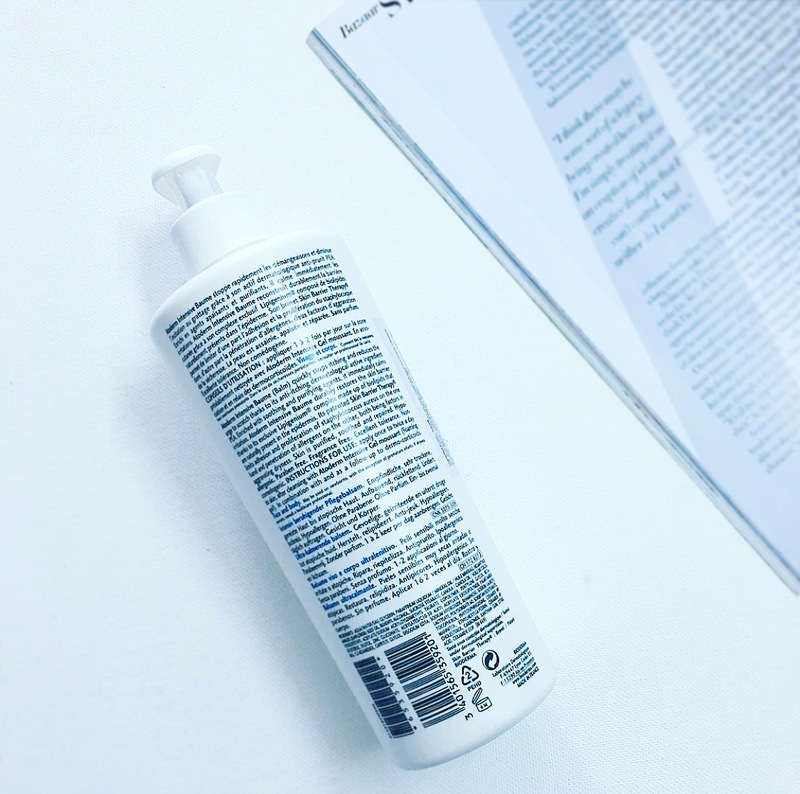 The dryness is long gone and every time I use this, my skin feels deeply nourished, hydrated and plump. It comes in 2 sizes – 75ml tube and 500ml bottle. I have the 500ml bottle, so it’s great for using all over the body after a shower and before going to bed. I love that there’s a pump on the bottle because it makes it so easy to use. As you can see in the pictures, there’s a plastic closure on the nozzle, so you can easily travel with it as well, without worrying about spillage or leaking. The Baume is white in colour and it has a very thick and creamy texture, yet it absorbs beautifully into the skin. I wouldn’t say that it is light-weight because I can definitely feel it sitting on my skin for a while, however, it is NOT oily or greasy at all. The Atoderm Intensive Baume can be used be used all over the body and the face, but personally, I don’t use it on my face. 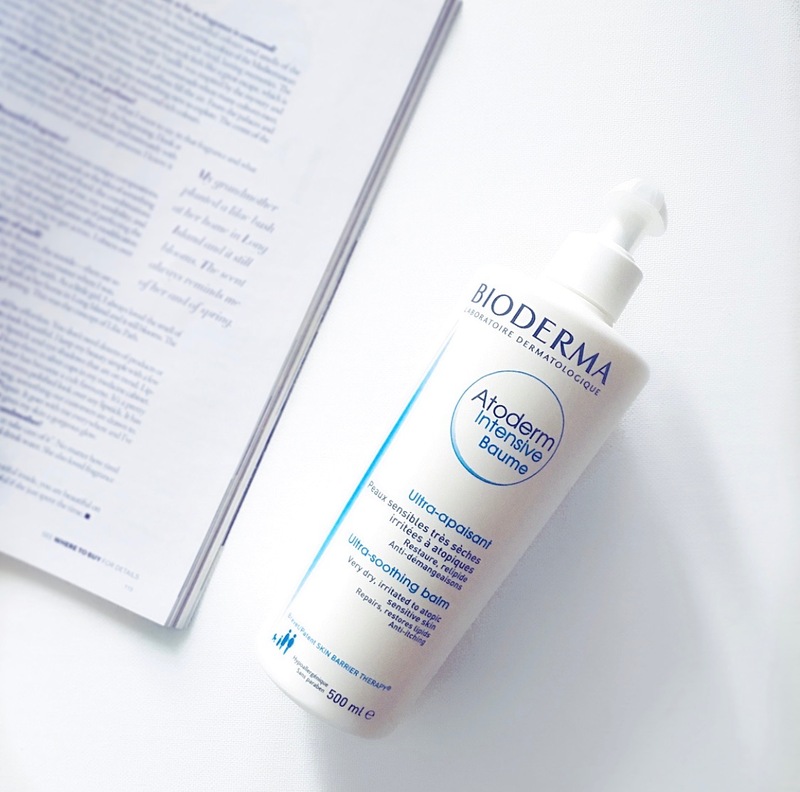 The Bioderma Atoderm Intensive Baume is enriched with purifying and soothing agents that help to instantly soothe the skin and stop irritation. Thanks to it’s patented Skin Barrier Therapy, this Baume limits multiplication of Staphylococcus aureus (bacteria) on the skin as well as reduces penetration of allergens into the skin, thereby reducing dryness and skin irritation. Another great aspect of the Atoderm Intensive Baume is its Lipigenium complex which consists of biolipids that work towards restoring the skin’s barrier. 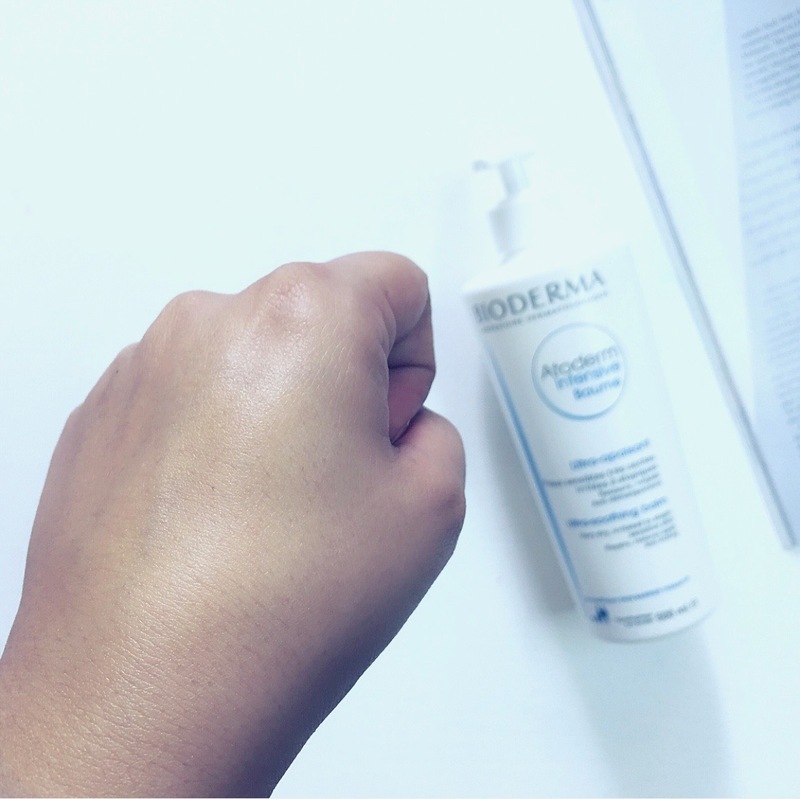 TheBioderma Atoderm Intensive Baume has been a life saver for me. My skin feels healthy and nourished from within. A little goes a long way with this Baume, so use it sparingly. 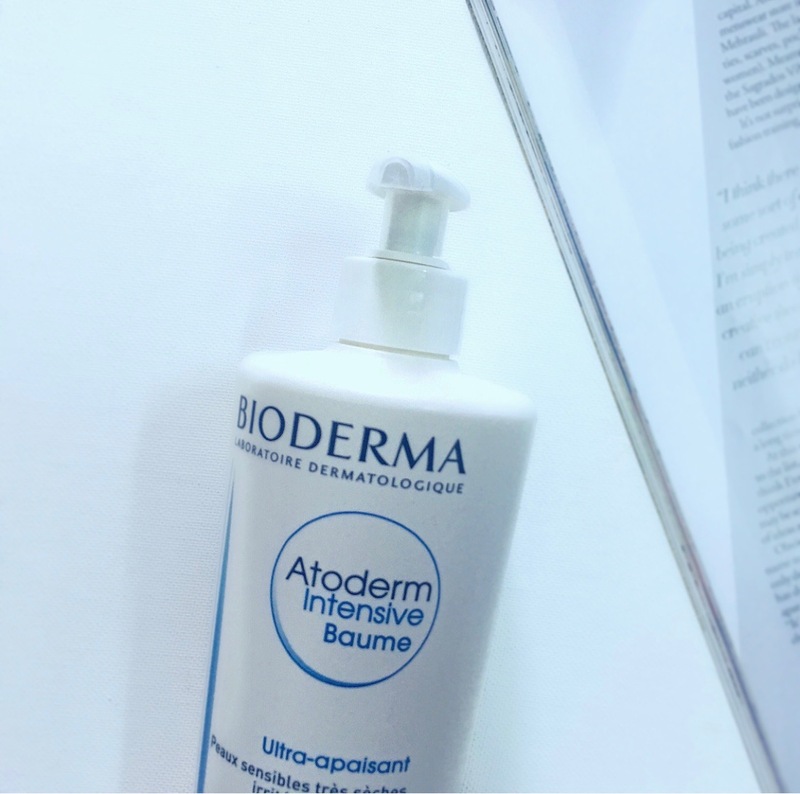 I will definitely repurchase the Bioderma Atoderm Intensive Baume and I also highly recommend it if you have dry, itchy, dehydrated or irritated skin. I hope this review was helpful. Let me know if your skin is feeling stressed, dry or irritated and also what’s your ‘go-to’ skin treatment/product to deal with skin issues like these.